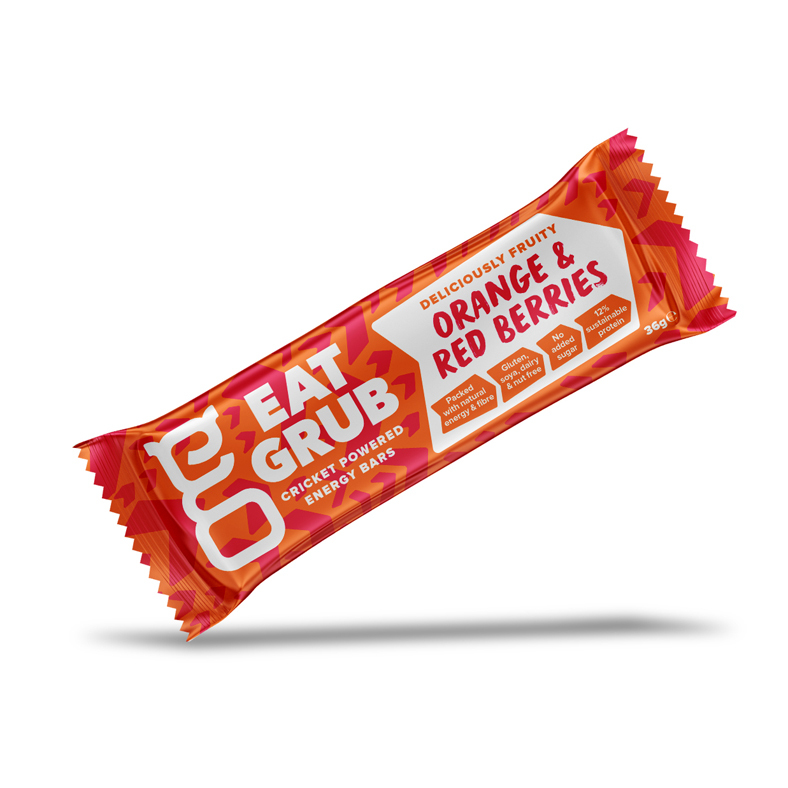 A delicious and wholesome tasting bar with the sweetness of cranberries, goji berries and orange zest. Made from all natural ingredients, these bars are gluten, nut, dairy and soy free with no added sugar. A good source of protein and fibre – let these cricket powder bars fuel your day. 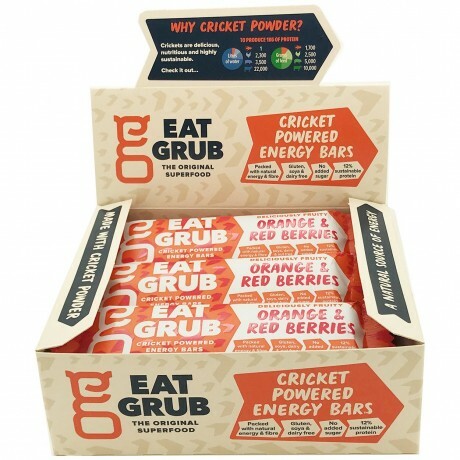 Eat Grub bars made with cricket powder have arrived! Gluten-free, nut-free, dairy-free, nutritious protein packed energy bars made with cricket flour!